There are few words the average student likes to hear less than the word, “essay”. It seems like the term is always framed in somewhat of a negative light. In almost every movie or TV show where someone is asked to write an essay, it’s framed as a punishment. The truth is, essay writing can actually be a rewarding experience and one that helps you learn quite a bit about the subject. Whether you’ve been assigned a specific topic or have been tasked with coming up with one on your own, it is important to understand the entire process and write with authority. Here are five things you can do to get organized, write well, and hand in your paper feeling proud of and satisfied with what you’ve accomplished. Start thinking about the assignment when it is delivered, not the night before it’s due. If you are a college student, your syllabus likely alerts you weeks or more in advance of your writing deadlines. The time to start researching specific topics around your subject is now, or, at a very minimum, the day the subject is first discussed in class. You want to start brainstorming ideas while the concepts are fresh in your mind, not weeks after you’ve moved into other areas of study. Online resources have their place, but you also want to draw from sources with verified credibility behind them. That means real books and periodicals that are backed by the reputations of their publishers. Anyone can add information to a Wiki site and, regardless of how diligent the site admins purport to be with fact-checking, errors always creep in and can go unnoticed for years. Don’t sully your own credibility by taking facts found online as gospel. Always seek out at least two or three corroborating sources before using information in an essay. If you are having trouble with an assignment or your understanding of the subject. Flag those areas as you write and confer with your teacher or professor on them. Showing a real interest in understanding the subject and being able to communicate that understanding effectively can help you out tremendously when he or she is trying to determine the kind of grade you get for your effort. One area where the Internet is useful and can help you to sharpen your writing skills quickly is in the area of online tools and applications for writers. You can find a variety of editing tools that can help you improve grammar and sentence structure, suggest better synonyms for repeated phrases, and even assist with formatting and presentation. There are legit services like this one where you can buy a good essay online. If you choose to go that route, however, you still want to check the facts on your own and tweak the content to communicate the information in your own words and writing style. 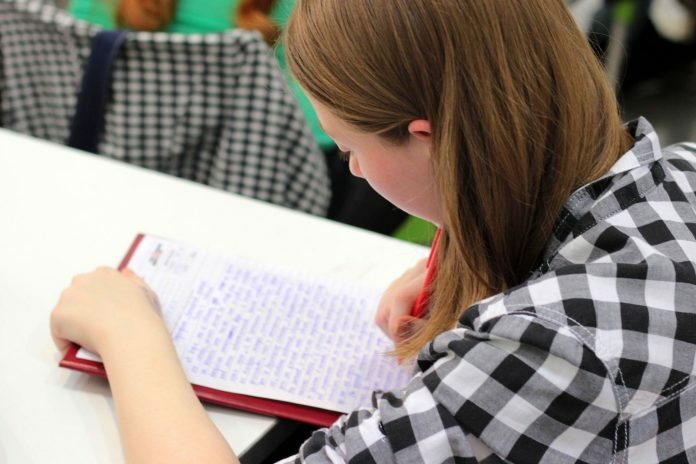 Look at an essay writing service as a way to help you organize a first draft that you can build on and learn from as you make your way through the assignment. The above-mentioned tools can be a huge help, but you still want to give your work a final read-through to make sure that you are communicating the ideas in your paper in a practical, effective, and scholarly way. For assignments that carry more weight toward a final grade, a paid proofreading and editing service can help you spot issues you might have missed on your own. Following the above steps will help you in several areas. They will keep you organized and focused, reduce the stress of producing a good paper, and teach you enough about the subject to allow you to write with authority and retain what you’ve learned in the process long-term. Previous articleMovavi Video Converter Review – How to Convert M4V to MP4? Next articleHow to Convert Video Formats with HD Video Converter Factory Pro?